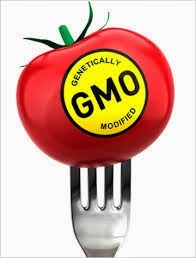 Until April 2015, whether to permit genetically modified (GM) cultivation or not was a European rather than national or regional decision. However, Directive 2015/412 returns important powers to the EU Member States that will enable them (and potentially their subnational regions) to choose whether to restrict GM crops in their territories. Indeed, Germany is already debating whether it will implement a national ban or leave the matter up to the individual Länder. Whilst of relevance to all Member States, it will be of particular interest to view the impact upon States where there are substantial conflicting stances towards to GM crops internally as highlighted by the UK. Under EU law, prior authorisation is required for every GM crop, but once it receives EU authorisation it is automatically authorised within all Member States. Restrictions are only permitted in accordance with EU law, e.g. where new scientific evidence shows that there are real risks to human health or the environment. However, despite the EU-wide authorisation process, there is no EU-wide agreement on whether GM cultivation should take place. This is as GM crops tend to be contentious, linked in part to the surrounding scientific uncertainty and their very nature – as involving the modification of DNA. They engage interests regarding societal and cultural traditions, trade, consumer choice, producer choice, environmental protection, health and food security, with no clear-cut ‘right’ approach for GM cultivation. Indeed, due to the decision-making process, crops can be authorised contrary to the wishes of some or even the majority of Member States (as occurred in the case of Novartis BT176). Consequently, within the EU there have been numerous national and regional bans and the creation of a GM-Free Network – of questionable legality in EU law. As a result of the on-going disputes and tension, in 2010 the Commission proposed to introduce an opt-out clause into the main legislation (Directive 2001/18) that would permit Member States to ban GM crops. A striking example of de-harmonisation within the EU, this was intended as a compromise that would provide the Member States with the desired flexibility whilst hopefully freeing up authorisations and encouraging States to lift bans based on the safeguard clauses. Following substantial negotiations, political agreement has finally been reached in the EU over the content. The result is Directive 2015/412, which comes into force in April 2015, with important consequences for the entirety of the EU Member States and their regions. The new Article 26b will permit Member States to request notifiers to apply geographical restrictions to any (re-)authorisation notification, i.e. to exclude all or part of that Member State’s territory from the scope of the notification. If the notifier accedes, the matter ends there – any (re-)authorisation will be accordingly restricted until the Member State changes its mind. However, if the Member State does not make the request in the relevant time period or if the notifier refuses the request, the Member State may still opt-out from cultivating that GM crop by claiming that the restriction is necessary to protect a legitimate objective. The provision includes a non-exhaustive list of potential objectives, including agricultural policy, land use and environmental policy objectives, but specifically not based on a conflict with the EU environmental risk assessment carried out under the authorisation process. This will apply for any future (re-)authorisations, but there will also be a transitional period regarding currently authorised crops and so Member States will be posed with the question shortly. The possibility of opting out may seem inconsequential to the UK, as the UK as a whole officially has a pro-GM cultivation stance. Indeed the UK’s outlook focuses more on the possibility that this compromise may loosen up the authorisation process and allow for future GM cultivation nationally. However, whilst England may reflect the general UK approach and Northern Ireland is torn on the issue, the same cannot be said of Wales and Scotland who hold relevant devolved powers. These two regions are adamant in their desire to be GM-Free, as are a number of localities across the UK. However, whilst any requests or opt-outs may relate to regions or localities within a Member State, rather than the entirety of the State, the provision leaves the decision in the hands of the Member State rather than individual regions (even where they hold legislative competence nationally). Therefore the challenge for Wales, Scotland, or indeed the other regions within the UK, is to convince the UK to make the request on their behalf during the relevant time period (each and every time). Considering that the relevant powers to deal with environmental and agricultural issues are devolved to these regions, it would be hoped that the UK would agree to make the request in the appropriate timeframe. If the regions do not act initially, then they will have the harder task of convincing the UK to opt-out based on an objective justification and risk the European Commission and eventually the Court of Justice of the EU considering that the opt-out is unnecessary. It will be interesting to see how the internal negotiations will play out, but the regions and UK as a whole need to consider what approach they will take as soon as possible in light of the transitional arrangements. This option then begs the question of what approach should the UK and the regions take? Are the benefits that the GM crops bring (for the regions, the UK or society more generally) sufficient to counter the potential appeal of being a GM-Free region? There is no simple answer. There are unlikely to be huge environmental or health risks posed, since the crops go through a risk assessment prior to authorisation. This does not prevent them having impacts on the environment or food production and security however – as with any form of agricultural cultivation. More immediately pressing though is whether the UK and its regions wish to maintain non-GM crops. It is extremely difficult to maintain the harmonious coexistence of compatible GM and non-GM crops in a locality and neither Great Britain nor the island of Ireland are the largest of landmasses. Any stance in Northern Ireland will also have to bear in mind the approach taken in Ireland and deal with resulting cross-border issues over admixture (contamination). Pragmatically, the UK and the regions in Great Britain will also have to consider approaches across Great Britain and the potential for admixture there also. In other words, if the UK accedes to the regions’ requests and applies for restrictions on their behalf, there will be a consequent need for significant coordination and strong coexistence measures to attempt to manage the potential for admixture between regions as best as feasible. It is for this reason that the German regional agricultural ministers have been pushing for a national ban instead. Although discussed in light of the UK, the option is open to Member States across the EU – including those where regions have relevant decentralised powers and are already members of the GM-Free Network. The forthcoming months in particular will prove crucial for these regions and their Member States, in determining what requests to make of the notifiers, whether to apply for opt-outs if necessary and in ensuring coordination within and between the Member States where varying approaches are taken. This will become even more significant if the amendment facilitates indirectly the EU authorisation of further GM crops, leading to the increased possibility of admixture. "Consequently, within the EU there have been numerous national and regional bans and the creation of a GM-Free Network – of questionable legality in EU law." With questionable legality, do you mean the harmonization of the EU's single market?